Xylella fastidiosa is one of the most dangerous plant bacteria worldwide, causing a variety of diseases, with huge economic impact for agriculture. The control strategy has to be focused on the insect vector and on the removal of infected plants that, if left on the field, can act as a reservoir for the bacterium inoculum. 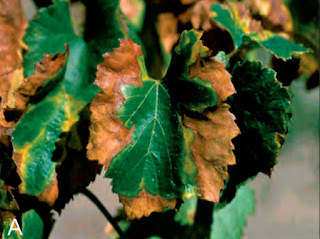 For the control of the vector population, proper phytosanitary treatments are required, such as the removal of weeds needed for the accomplishment of the life cycle of the insect, but also the targeted use of plant protection products, especially prior to the removal of infected plants. Such treatments have to be jointly implemented, with appropriate agricultural practices. It was reported for the first time in the Union territory by the Italian Authorities in October 2013, in the region of Apulia, affecting mainly olive groves. Based on official survey activities, the rest of the Italian territory is still considered to be free from the bacterium. Subsequently, in July 2015, the French Authorities reported the first outbreak of Xylella fastidiosa in their territory, in Corsica, and later in France mainland, in the region of Provence-Alpes-Côte d'Azur, affecting mainly the myrtle-leaf milkwort. EU plant health co-financing may be granted for the implementation of surveillance programmes and eradication/containment campaigns under Regulation (EU) No 652/2014. Under the same legal framework, the EU financial contribution for compensation to the owners for the value of the destroyed plants will be possible only from 2017 onwards.